Families of passengers of missing Malaysia Airlines flight MH370 have been informed that the plane ended its journey in the Indian Ocean, effectively ending their hopes of a miraculous survival. 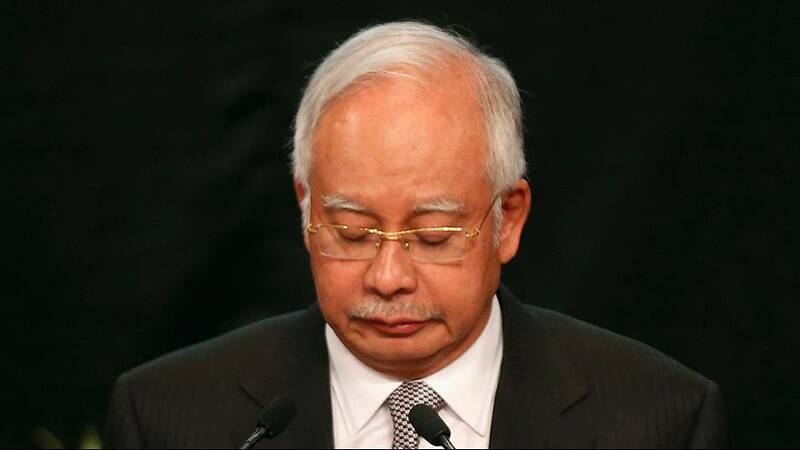 Malaysia’s Prime Minister Najib Razak gave the information “with deep sadness and regret” in a televised press conference at 15:00 CET. The presser came after three new sightings of possible debris, with France as well announcing yesterday that its satellite sighted possible wreckage from the plane in the southern Indian Ocean. The last known location of the plane was in remote Indian Ocean waters off the coast of Perth on Australia’s west coast, with the information on its last whereabouts coming from the UK’s Air accidents investigation branch. Malaysian authorities briefed the families of the missing passengers ahead of the Prime Minister’s press conference. Australian authorities spotted at least two new floating objects in the Southern Indian Sea where a US Navy P-8 Poseidon, the most advanced search aircraft in the world, had been unable to find objects spotted earlier on Monday by a Chinese aircraft hunting for clues to the missing Malaysia jet. The Australian Prime Minister said the country’s Maritime Safety Authority had advised him the search jet P-3 Orion crew had seen a grey or green circular object as well as an orange rectangular object, both of which are separate to the objects spotted by a Chinese aircraft, in the Indian ocean. The Australian media quote a different version coming from a member of the P-3 Orion crew, saying he saw at least 4 different objects: “The first object was rectangular, slightly below the ocean, the second object was circular, also slightly below the ocean”, “We came across a cylindrical object that was 2m long about 30cm across, and we came across another item that was also cylindrical and shaped in a rough fish hook”. The Chinese Ilyushin IL-76 aircraft spotted two “relatively big” floating objects and several smaller white ones dispersed over several kilometers, the Xinhua news agency reported earlier. Beijing announced later that there was no confirmation yet that the objects belong to the missing flight.